Tsahi Tal is the Acting Vice President of Product Management for Celeno Communications, a leading provider of smart, managed high-performing silicon and SW Wi-Fi technology. Tsahi has garnered over 20 years of experience in Hi-Tech companies ranging from start-ups to global organizations. Prior to joining Celeno in 2012, Tsahi held product, project and engineering leadership roles at Alvarion and Smartlink, where he gained vast technical and commercial expertise in communication, networking, signal processing, wireless systems as well as service providers, equipment manufacturers and vertical markets. 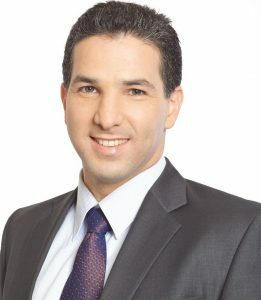 Tsahi holds a BSc degree in Electronics and Communication Engineering from the Tel-Aviv University, served in Israel’s Intelligence Forces and holds several patents.